Today's a very special day! A group of bloggers, led by Lauren from Sew You Think You Can Cook have joined together to celebrate a very special lady. Tara just had baby number two! And we are celebrating with twice baked cookies. Have you been to her blog - Tara's Multicultural Table? Beautiful pics. Amazing food. 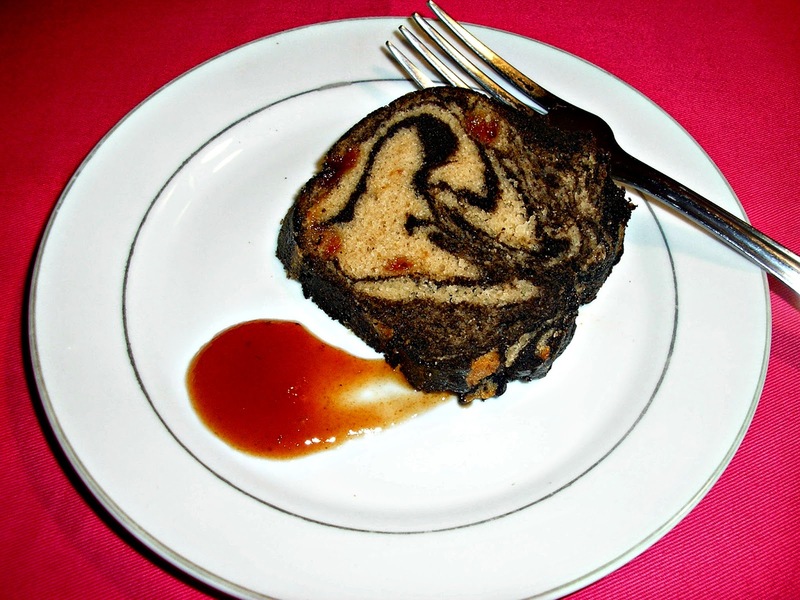 It's a great resource if you're planning an international menu or just want to learn about dishes from across the world..
For this event, I made some guava mandelbrot. 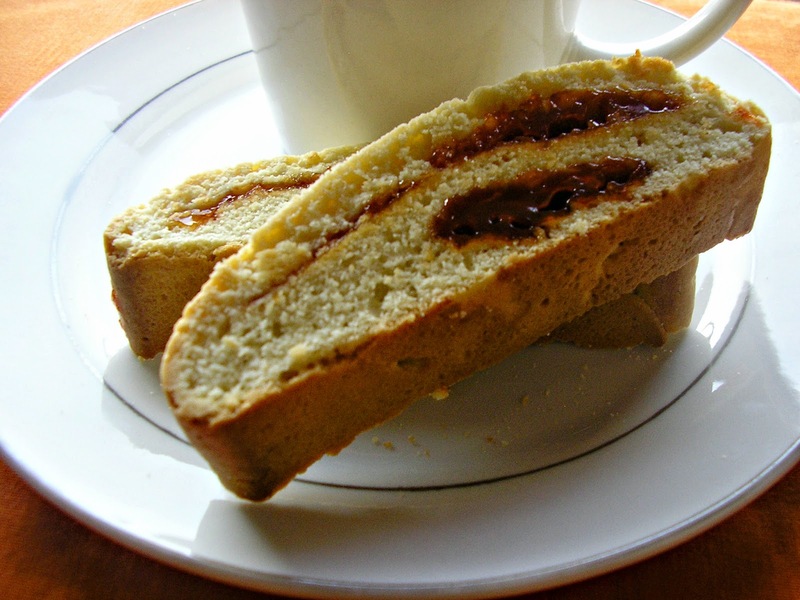 Mandelbrot ("almond bread") is an Eastern European version of the Italian biscotti. Like the name suggests, they are typically made with almonds. Now, the history of the mandelbrot is a bit murky to me. The difference between the biscotti and the mandelbrot is even murkier. It seems that Italian Jews introduced their cookies to Eastern European Jews. In Eastern Europe, they were called mandelbrot. If you poll ten different persons, you will probably hear ten completely different explanations about the difference. Mandelbrot is softer. No, it's harder. Mandelbrot has more fat. No it doesn't. Mandelbrot uses oil to account for dietary restrictions. I found a recipe that used butter. The ratio of flour to eggs is different. One is sweeter. Etc. I really have no idea. I think both recipes evolved so much over time that's it's hard to tell a difference. What I do know is that this is one delicious twice baked cookie. I opted for a mandelbrot with a filling - specifically, guava jam. I'm currently riding a guava jam craving and depending on my mood, there could be another guava jam recipe coming next week. Anyway, I came across this recipe on Sarabeth Levine's blog and she got the recipe from her mother-in-law. The cookies are DELICIOUS. They were definitely a wee bit softer than traditional biscotti. But if left in the oven longer, they would harden more. However, I love them as is. I am not a cookie-baker and I could do this. I encourage you to try this recipe with your favourite jam (GUAVA, use GUAVA). The only thing that I'd do differently next time is to roll the cookies a bit of cinnamon sugar before their second bake. I meant to do it this time, but I put them in the oven and forgot the cinnamon sugar sitting on the counter. It's probably for the best though. They were sweet enough as is. Plus, I am still pretending to give up refined sugar for Lent. When you're finished making these, leave your oven on so you can make the other delicious biscottis that you'll find listed below. Congrats, Tara! And thanks for hosting, Lauren! Cream together butter and sugar until light and fluffy. Stop and scrape the bowl when necessary. Gradually add the egg and vanilla then beat in the baking powder and salt. Slowly add in the flour in three additions alternating with the orange juice. Mix until it just comes together. Remove the dough from the bowl and pat into a thick rectangle. Wrap the dough in plastic wrap and refrigerate for 20 minutes. Preheat oven to 350 F. Line a half sheet pan with parchment paper. On a lightly floured parchment, knead the dough a few times until smooth. Sprinkle the top lightly with flour then roll out to a 1/4" thick rectangle measuring about 16" x 8". Spread the jam over the dough leaving a 1/2" border around the edges.If using guava paste, lay the slices evenly across the dough. Fold the shorter sides over one inch. With a longer edge facing you, fold the top third down and the bottom third up (a letter fold). Lift the parchment with the dough and place the dough seam side down on the prepared half sheet pan. Remove the paper that's now on top. Bake 25 - 30 minutes until golden brown. Let cool for 10 minutes. You could also bake them cut-side down as is down with biscotti. You'll a little jam stuck to your parchment - not a big deal. Try rolling in some cinnamon sugar before the second bake. This month, the ingredients for our Crazy Ingredient Challenge are lemon and basil. I really wanted to try a lemon and basil dessert. I have seen so many basil desserts and have been itching to try. Alas, I ran out of time. You see, I decided to give up refined sugar for Lent (failing miserably, by the way). It didn't make sense to make too many desserts that I couldn't eat. So I decided to make a lemon basil bread. Buuuut, when I went to the supermarket, all their coolers were down (WEIRD) and everything that could be kept in a cooler was... I have no idea really. The sign said that one should talk to an associate. But I was not in the mood to wait so I grabbed a bottle of Italian seasoning mix. It has basil, marjoram, oregano and other herbs. I figured that I would make an herb-y bread instead of just basil. It's a delicious bread. I think I could even increase the herbs. Maybe add in some garlic too. The crumb is relatively tight but still very light like a sandwich bread. 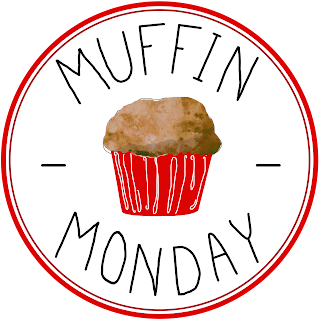 Don't forget to check out what the other bloggers made today! Combine the ingredients for the biga. Knead to form a firm dough. Cover and leave at room temperature overnight. I left mine for 12 hours. For the final dough, combine the biga and all the final dough ingredients. Knead until it forms a smooth dough and gluten is almost developed. Cover and bulk ferment for approximately 1-2 hours or until dough has doubled. Divide the dough into three equal pieces. Loosely form into logs and let rest for 10 minutes. Roll each log into 12" - 14" ropes. Braid. Cover loosely with plastic wrap and let proof until risen and puffy. This could take about an hour depending on your room's temperature. About 20 minutes before baking, preheat oven to 425 F.
Bake loaf for 30 minutes or until the loaf is golden and has reached an internal temperature of ~ 200 F.
Chocolate. Chocolate. Chocolate. We all love chocolate, right? If you don't, don't tell me. Don't break my heart. 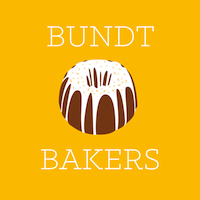 Chocolate is the theme for this month's Bundt Bakers. The theme made me both excited and overwhelmed. I was excited because, well, do I need to say that I LOVE chocolate? In my last year of primary school, I'd buy two chocolate bars after school every day. Every. Single. Day. But when you tell me to make a chocolate cake, decision paralysis hits. A cake with just chocolate? Is it time to try chocolate and cayenne? Mint chocolate? Rum? Caramel? Coconut? Red wine? Nutmeg and cinnamon like Jamaican hot chocolate? Basil? If basil, how much is enough? I was stuck on this last question for 72 hours. I finally decided on chocolate and jam, in particular, guava jam. I had no idea if it would work. I could have used white chocolate like I've done in sweet rolls before. But I wanted real chocolate. I had lots of pictures in my mind of how I wanted this to look. I ultimately decided on making the zebra-esque stripes because I wanted to practise them. (I always seem to give up halfway through.) But I think that when I make this next, I will do a jam crown, pour the white batter first, add jam and then the chocolate batter. So how did it taste? Good,actually. The guava was very subtle. The guava portion is slightly pink (though not discernible in my pictures) but I didn't want to add more jam or food colouring. A few bits of jam weren't thoroughly mixed. This was actually deliberate because I wanted to see where they'd end up (so I'd know how to approach a jam layer in the future). Additionally, I was still thinking about a possible "jam crown" and was really hoping they'd end up at there. They did. I really loved biting into pieces that had little bits of jam. Burst of flavour. To boost the flavour, I melted some jam with a bit of orange juice to eat with some slices. And let me tell you, I had MANY slices of cake on Tuesday night. I gave up added sugar/refined sugar for Lent so this cake was my last hurrah. It was a very fat Tuesday night. Had I not been stuck in indecision land so long, I would have had more time to spend with this cake. Ah well. There are slices in my freezer now. See you in April, fair Bundt! Now scroll down for all the chocolate goodness from my fellow Bundt Bakers. I have a feeling that looking at those 30+ cakes today will make me want to get back on the sugar wagon. I'll try to be strong. No guarantees. 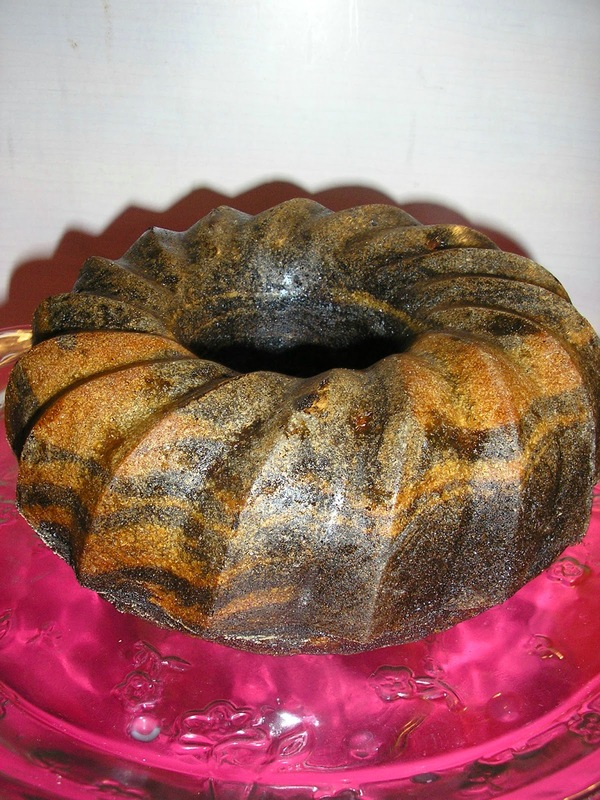 Thoroughly grease and flour a 10 cup Bundt pan. Mix the cocoa, hot water and the 3 tablespoons of sugar together until thoroughly combined. Beat butter on high speed for a minute. Slowly add the 1 1/2 cups of sugar and then vanilla. Beat for 5 minutes. Add eggs one at a time, beating until well mixed. Add the flour in three parts alternating with half the milk. Beat until smooth. Transfer a bit less than half of the batter to another bowl. Stir the cocoa mixture into this bowl. Stir the guava jam into the remaining batter. To marble the batters, you can use ice cream scoops, to add scoops of each batter to the prepared Bundt pan. Gently swirl the batters together. To try a zebra effect, add two tablespoons of chocolate batter to the pan. 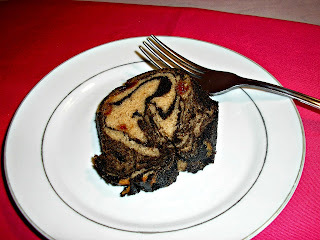 Pour two tablespoons of the guava batter directly in the middle of the chocolate batter in the pan. Keep alternating chocolate and guava. Bake 45 minutes or until a long skewer inserted into the center comes out clean. Invert Bundt onto a cooling rack after 10 minutes. 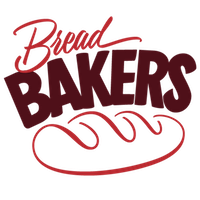 Do you watch the Great British Baking Show/ Bake-Off? I am catching up on Sunday's episode as I type this up. I am not sure how I feel about this show. In fact, a friend messaged me last night asking if he should watch it and I am still not sure what to say to him. The hosts are annoying. But the challenges are OK, I guess. I've learned a thing or two from the past episodes. For example, I'd never heard of a hot water crust before. It's something I definitely want to try at some point. Nevertheless, the show just doesn't excite me. Perhaps, I have gotten too used to cooking shows with gimmicks. "Make a ten tiered wedding cake with one hand tied behind your back. And oh, you can't use an oven." Yes, I'm mocking Cutthroat Kitchen. So about these bagels. The Great British Baking Show doesn't excite but these bagels definitely did. I made bagels once before. I think they were the second bread/sourdough item that I ever made. Cinnamon and raisin. I was so proud of myself. I told everyone within hearing distance that I made bagels. That was back in 2011. It's taken me almost 4 years to make another batch. Why did it take so long? I have no idea. I tend to not repeat things because I am always trying to move on to something else. And there's the fact that bagels are pretty calorie-dense. I'll happily eat two without thinking about it. That's a lot of bagel (for me) in one sitting. That's why I made these smaller so that when (not if) I ate two at once, I wouldn't feel too stuffed. 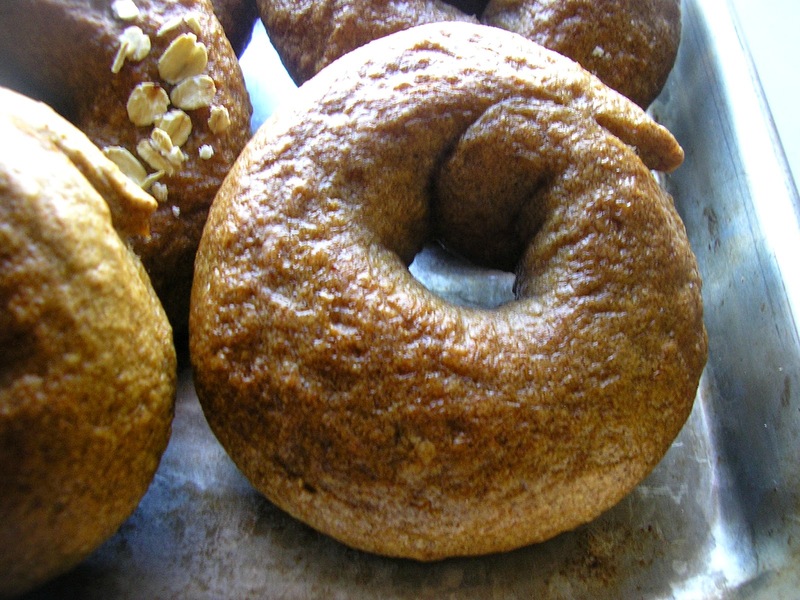 The flavour was inspired by a Whole Wheat Oat and Honey bread that Joy the Baker challenged her readers to make. I made it and LOVED it. It smelled so amazing while being baked that I immediately tossed my other bagel baking plans. Plus, it had oats. We've already covered the fact that I like to put oats in every bread so this was perfect. I definitely had half a loaf within a couple hours. Check out my recipe below and when you're finished, check out those AMAZING bagels baked by my fellow Bread Bakers.You'll want to run to the kitchen and start working on your own batch immediately. Combine all the dough ingredients and knead for 3 minutes. Let the dough rest for 5 minutes then knead for an additional 3 minutes. The dough should be stiff yet supple. If it's dry and cracking, add water by the teaspoon. If it's sticky or very tacky, add flour. Allow to rise for 1 hour in a lightly oiled bowl. Lightly oil a sheet pan. A) Poke a hole in the center of the ball to form a donut shape. With two fingers in the hole, rotate the dough, gradually stretching the hole to two inches. B) Roll out each ball to an 8 inch rope. Taper the rope slightly at each end and moisten the last inch or so of the ends. Place one end of the dough in the palm of your hand and wrap the rope around your hand to complete the circle, going between your thumb and forefinger and then all the way around. from your hand, squeezing it to even out the thickness if need be and creating a hole of about 2 inches in diameter. I tried both methods. The donut way is quicker but I didn't have a preference. Cover the sheet pan with plastic wrap and refrigerate overnight or up to 2 days. 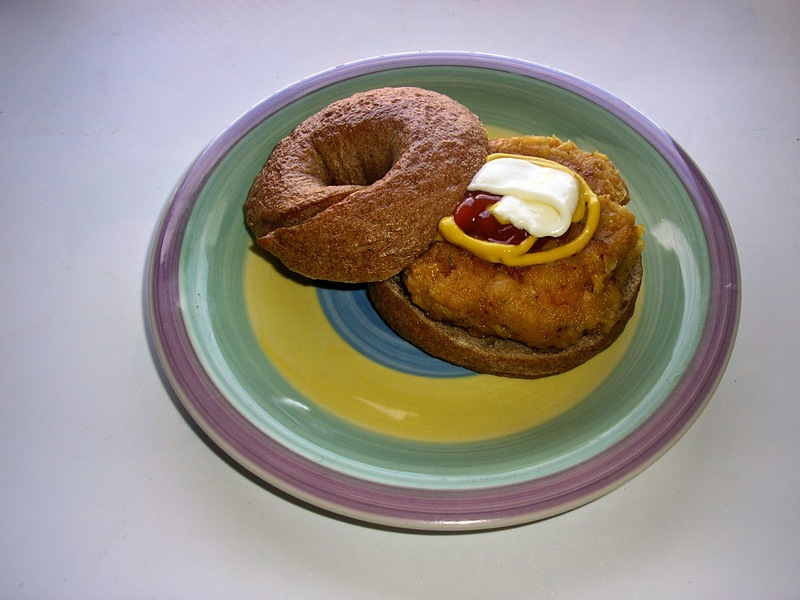 Remove the bagels from the refrigerator about an hour before you plan to bake them. 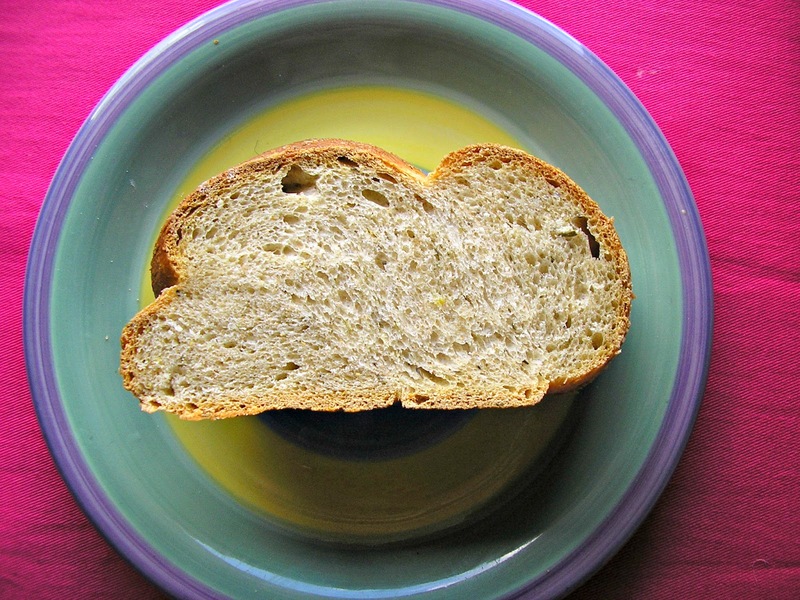 Place a bagel in a bowl of cold water. If it floats, the bagels are ready to be boiled and baked. If it sinks, shake off the water and test it again in 10 minutes. 30 minutes before baking, preheat oven to 500 F.
Bring a pot of water to a boil. There should be at least 4 inches of water in the pot. Lower heat to maintain a simmer and stir in honey, salt and baking soda. Gently lower each bagel into to the pot. After a minute, turn the bagel over. Boil for another 30 - 60 seconds. Remove with a slotted spoon and place on an OILED surface. Bagels will stick to parchment if it isn't oiled. Place bagels in the oven and lower heat to 450 F. After 8 minutes, rotate the pan and bake for another 10 minutes. You can also proof the full piece of dough in an oiled bowl overnight and then shape the bagels on baking day, 60 to 90 minutes before boiling and baking them, or as soon as they pass the float test. If this is your first time joining us, the Foodie Extravaganza is a monthly party hosted by bloggers who love food! Each month we incorporate one main ingredient into recipes to share with you and this month that ingredient is a Valentine's Day classic - cherries! Be sure to check out all the dishes below. Two years ago, I found a Kitchen Bucket List on Saveur and proceeded to use it to create my own. I had over a 100 items listed and most of them had already been crossed off. Looking back, I know there are several more items that I could add to that list. I can't wait to update it and share my progress soon. 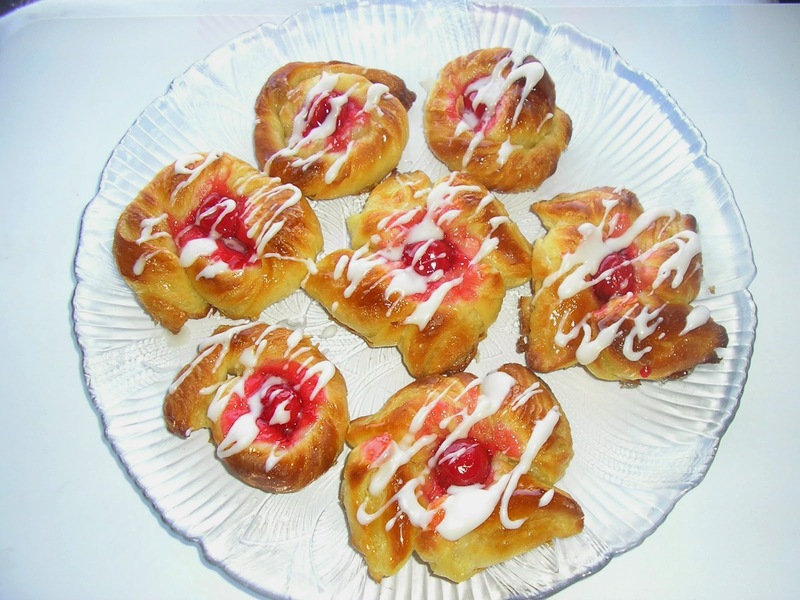 There was one item still on that list that I really wanted to make but actively avoided - Danishes. I knew they weren't particularly difficult. But laminating dough can be hit or miss for me. The first time that I made puff pastry, I had wonderfully flaky layers. Then I tried sourdough croissants. They were buttery and delicious but not particularly flaky. I decided to try Danishes for this month's Foodie Extravaganza because it was the easiest thing on my list of possibilities. Well, it was the second easiest. Easiest was the slow cooker cherry cobbler that's cooking right now. I'm not sure how I came to the conclusion that something with laminated dough was easiest. But I think the simple list of ingredients factored greatly into that calculation. That and the fact that I could break it up over a few days. Laminated dough recipes look long and intimidating. But they are really just a bunch of short steps that aren't particularly difficult. When I first made puff pastry, I was still avoiding any recipe that called for a rolling pin. * I had some oozing here and there but it still worked out. The big thing to remember is to keep everything cold. Stop and chill everything often. I loved working with this particular dough. After the rest in the fridge, it was wonderfully supple and easy to roll. *I also avoided separating eggs and making caramel. I now separate eggs without giving much thought to it. But caramel is still a no-no. I actually tried to make some two Sundays ago and ended up with a crystallized mess. That led to a Food Chemistry discussion with friends (the caramel was meant to be a topping for a cheesecake for one's birthday) and now I am convinced that I need a degree in Food Science. I am searching for schools right now. Seriously. I need to be able to troubleshoot from a scientific perspective. Dough: Combine flour, salt, sugar and yeast. Add milk, water, egg and oil. Combine with a paddle on low speed for a minute. The dough will be shaggy. Mix on low speed for 30 more seconds then increase speed to medium for 15 seconds. The dough will be sticky and soft. Place in an oiled bowl and immediately refrigerate overnight or up to 2 days. Butter block: Place the butter between two sheets of wax paper. Lightly pound and roll the butter to a 3" x 6" rectangle. Place in the refrigerator. Laminating. Remove dough from fridge and roll to 6 1/2" x 6 1/4". Roll from center to corners and then from center to sides. This truly makes rolling a rectangle easiest for me. With a longer side facing you, place the butter block 1/4" from the left side of the dough so that there is 1/4" of dough left at the top and bottom. Fold the remaining dough over the butter. Lift dough and lightly flour underneath. Gently roll out to a 8" x 9" rectangle. Turn the dough so that a 9" side is facing you. Do a letter fold by folding 3 inches of dough to the right and then the uncovered 3 inches to the left. Rest dough in the fridge for 15 - 20 minutes. With the open seam faced away from you, roll the dough out again to 8" x 9". Do a second letter fold. Rest for 15 minutes. Repeat for a third letter fold and rest in the fridge for 15 minutes. Roll out the final dough to 12"-14" x 9" x 1/4". Pinwheels. Cut 2 1/2" squares. Cut notches leaving 1/2" in the center uncut. Take every other corner and fold over to the center. Place on a parchment lined sheet pan about 1/2 inch apart. Proof 2 to 2/1/2 hours until the dough is noticeably puffed. Preheat the oven to 450 F 20 minutes before baking. 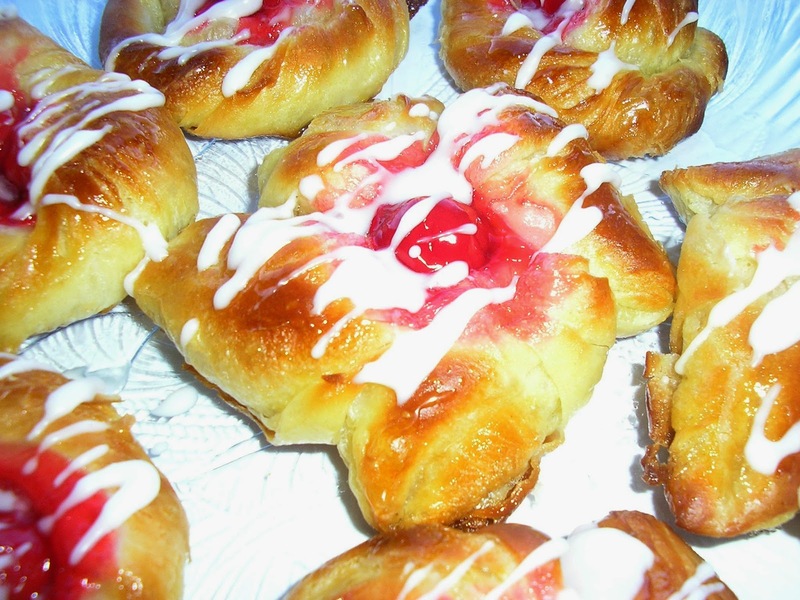 Use your finger to press an indent into the center of the each pinwheel and fill with about a teaspoon of cherry filling. Hot Glaze. Just before baking, make the hot glaze. Place sugar and water in a sauce pan and stir until the sugar dissolves. 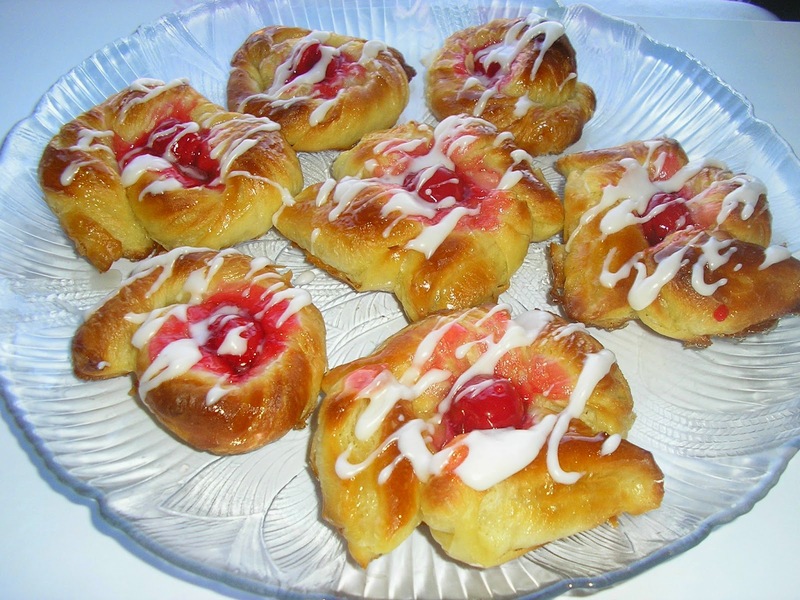 Lower heat and maintain a gentle simmer while the Danishes bake. Place the pinwheels in the oven and lower the temperature to 400 F. After 6 minutes, rotate the pan and bake for another 5 - 6 minutes. Brush immediately with hot syrup.